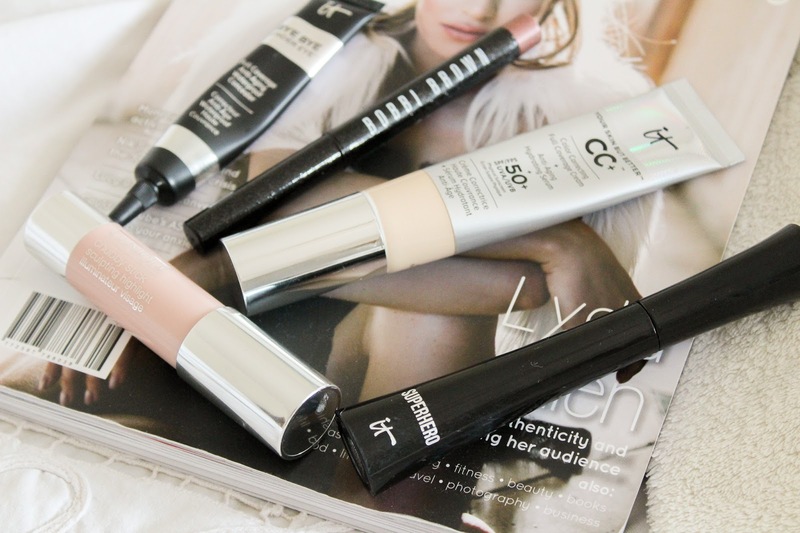 I've previously shared my perfect base since becoming a mum, It Cosmetics have fast become a favourite and I use the CC Cream daily, it's been a long time since something really wowed me and this is way up there with the best of them. 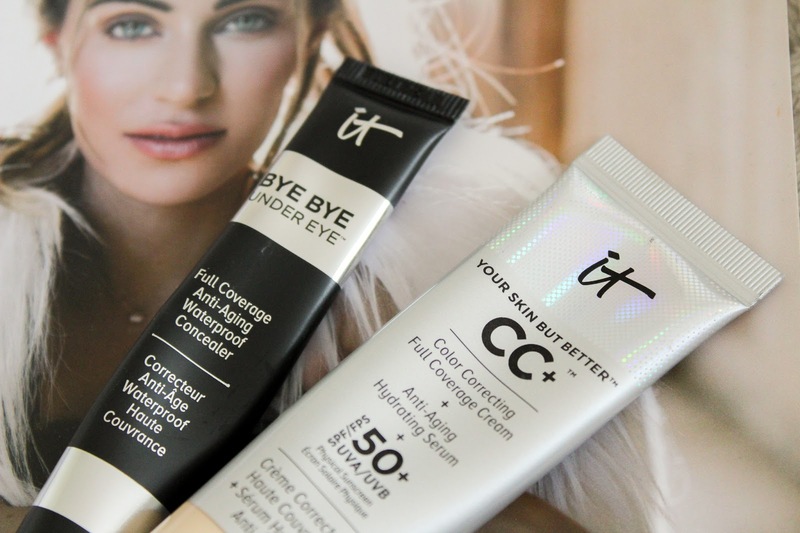 My It Cosmetics Base Products for New Mums post included the Your Skin But Better CC+ Cream (£30.00) and Bye Bye Under Eye Full Coverage Concealer (£23.50) both products I swear by. 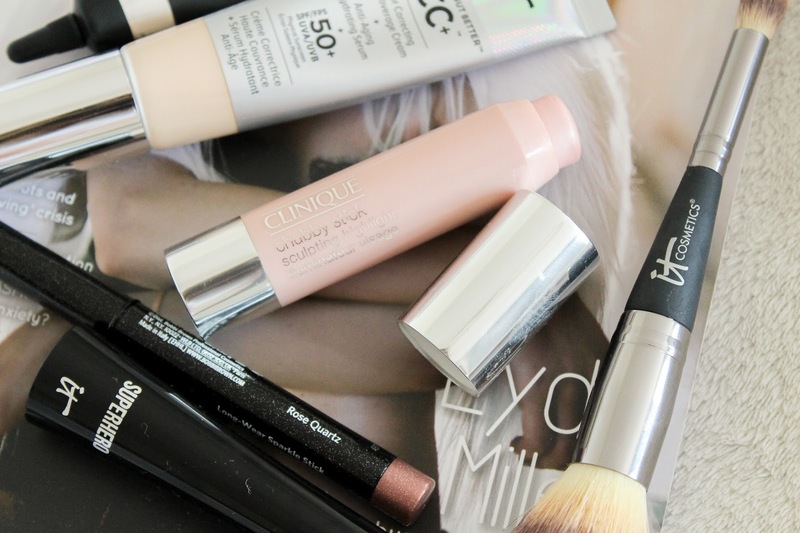 The CC Cream just gives such a perfect finish to my skin, evens out skintone and leaves a really natural finish while the concealer conceals everything and more. It's hands down the best concealer I've used. I use the Heavenly Luxe Complexion Perfection Brush (£35.00) to apply my makeup. The large fluffy end is great for applying liquid foundation and the smaller brush is just the right size to apply my concealer. It has become my most used brush. And another plus? It washes as good as new. To add some glow, I rely on the Clinique Chubby Highlight Stick (£20.00) for a quick and easy glow. Just swipe on to where the light catches your face and you're good to go. I love it because it's super creamy, doesn't need much blending and it leaves a really gorgeous glow. 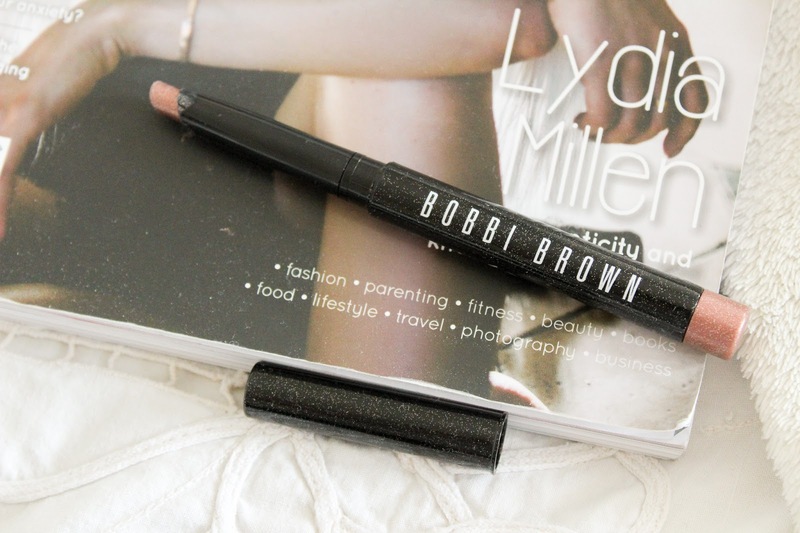 Another handy stick product I've been using is the Bobbi Brown Long Wear Sparkle Stick (£23.00) in Rose Quartz. I'm a powder girl usually but I'd seen so much buzz around the sparkle sticks that I picked one up and now I totally get it, I love them! I just swipe on the product and blend a little. It can be as subtle as you want or you can build it up, I have Molten Bronze and Gilded on my lust list next. Lastly, I use a sweep of mascara. 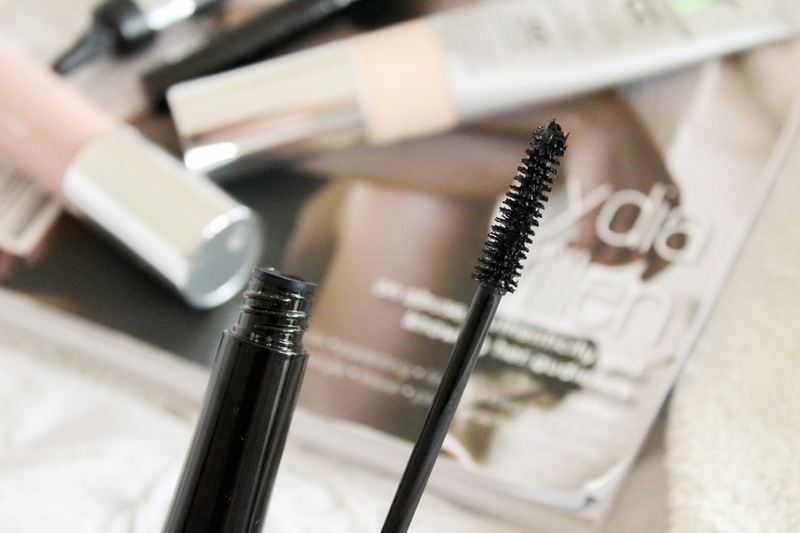 I've been using the It Cosmetics Superhero Mascara (£19.00), the sample size lasted for a couple of months before I then moved to the full size tube. The brush opens lashes and is infused with Elastic Stretch Technology which coats each lash, volumises and adds length. I've been complemented on this so many times that I've been recommending it left, right and centre. My five minute mum face has become my daily look and the best bit? They're all products you can use easily with one hand, which is great for me as I can then keep Joshua occupied with the other. 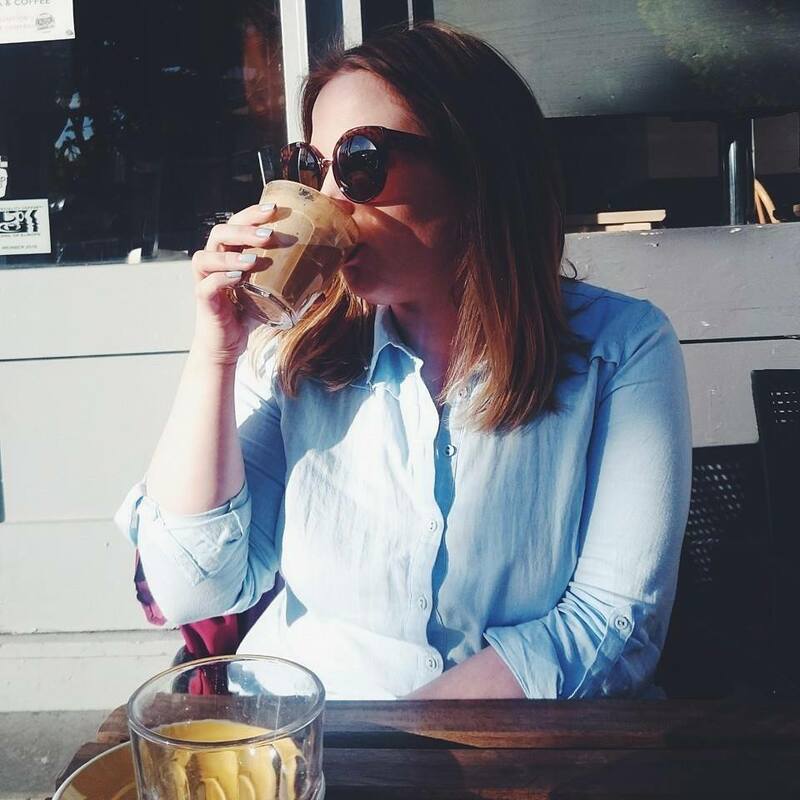 What are your favourite products for a fast application? AND YET NO PICTURES OF YOUR PRETTY MUM FACE.